Marie Kondo and her KonMari method of tidying up are on the tip of everyone’s tongue at the moment — the Japanese organizing expert shares her minimalist ideal of paring down, only keeping things that “spark joy,” in books and a recent Netflix documentary. But while the decor world is abuzz with minimalism, there’s also steam under the movement at its polar opposite. Enter maximalism, a thoughtfully curated blend of colors, patterns, textures and objects in interiors that otherwise wouldn’t be paired together but pack a major punch when they are. Maximalism means more is more, but that doesn’t mean it’s no holds barred: A through-line, whether color or design style, ties the whole room together, making a statement that works. Serious inspo for this style comes from maximalist interior designers like Kelly Wearstler, Patrick Mele and Windsor Smith, who artfully compose rooms we can’t stop staring at. From East coast to West coast, these projects are proving that having a little fun in your home is the way to go. Inspired yet? Below, we’ll give you the lowdown on maximalist interior design, how to create it, and how Saffron Marigold products can work in your maximalist space. Maximalist interior design has its roots in the same soil as many other design styles, inspired by art and fashion. 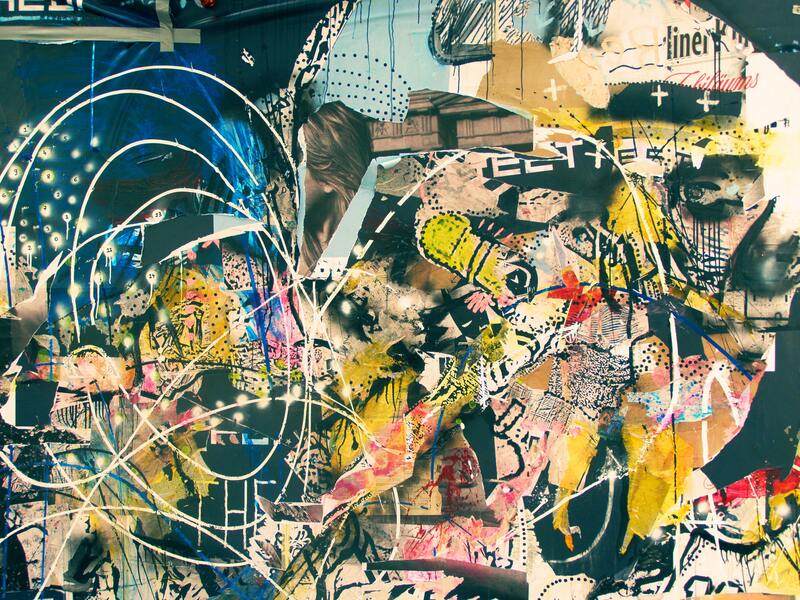 The maximalist art movement was created as a direct response to minimalist art, which is characterized by a lack of “expression” — simple shapes, often times limited color, and no insight into the artist’s emotion. On the other hand, maximalist art, popularized in the ‘60s and ‘70s, features lots of color, shapes, strokes and drama. It’s said to come from the Art Nouveau and Art Deco genres, which we know are bold and detailed. Both movements intend to give inanimate objects an artistic touch. Then there’s the fashion world. 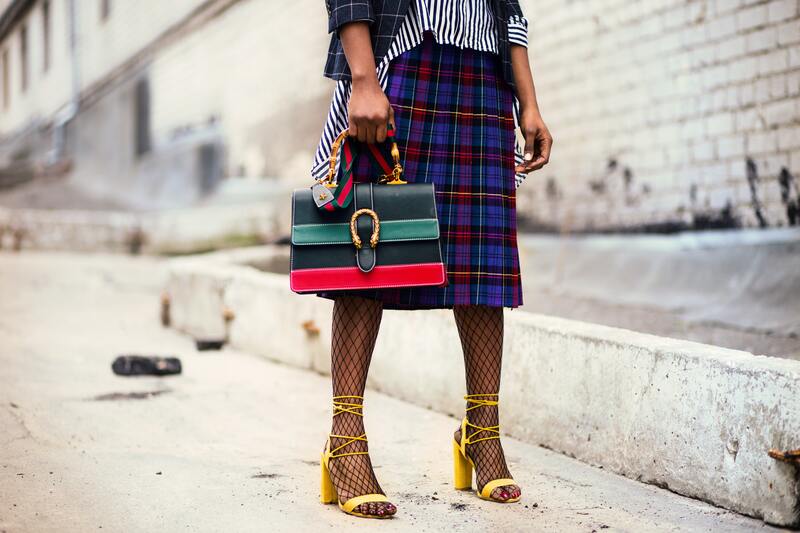 Maximalist fashion has been trending on the runways for the last year, where the same principles — mixing colors, patterns and textures — allow for the ultimate personality statement. From Gucci to Valentino, it’s off the runway and into our homes. Inspired by the maximalist movement and want to bring its feel into your abode? Starting with textiles, like bedding, pillows and curtains, is a great jumping-off point. If you’re not quite ready for a cheetah print wall or bright purple sofa, textiles are non-committal and easy to swap and switch. Saffron Marigold offers tons of textiles in beautiful, bright colors and bold patterns that can work together for a great maximalist design statement. For instance, try the Kilim Noir pillow cover sham in black and red with the Vanilla Glace white and gold duvet cover and Jeweled Peacock turquoise gold sari beaded valance in your bedroom for a punchy, striking escape. 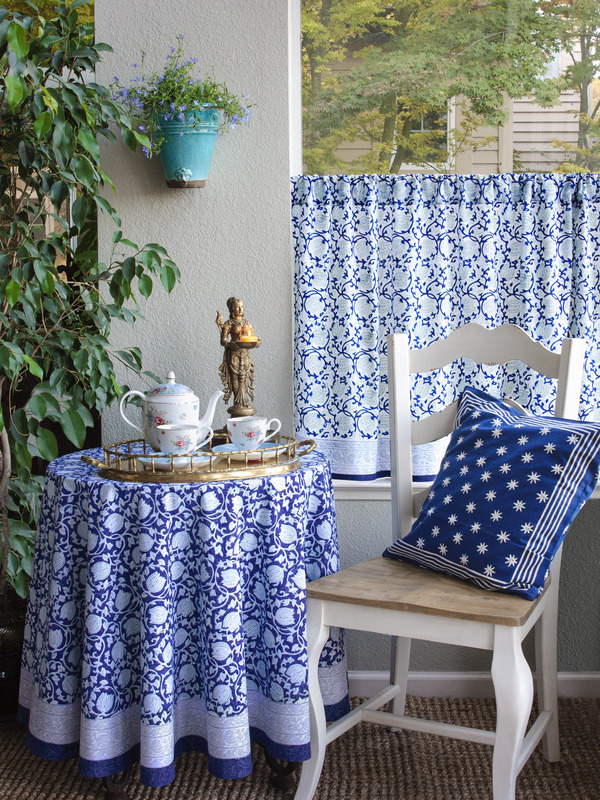 Try India Rose pink floral curtain panels on your windows with the Victorian Lilac Trellis Ivory pillow cover and the Mood Indigo blue and white tablecloth in your dining room for a light, airy and eclectic statement. 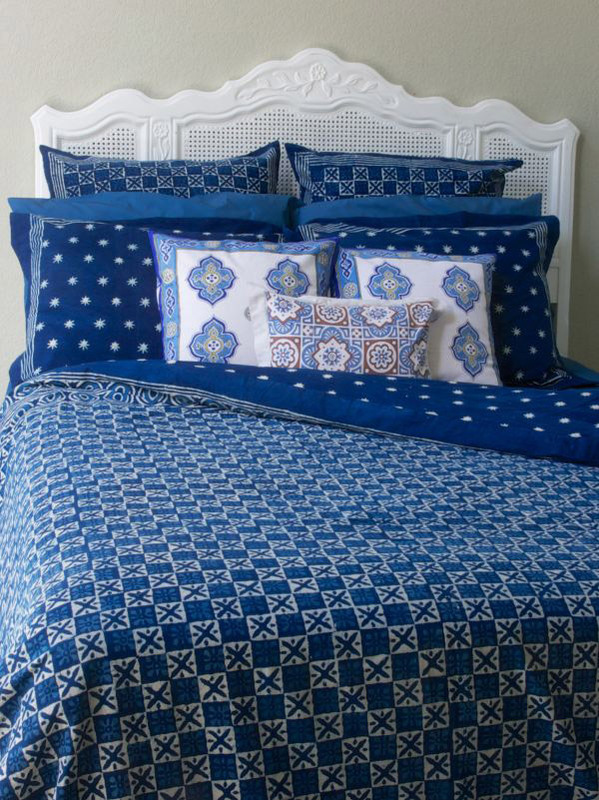 Try the Starry Nights Designer Blue India Batik quilted bedspread on your bed with the Mosaique Bleue Moroccan Tile Blue sheer curtain panels on the windows and the Le Chateau Tile French Country Farmhouse Rustic euro pillow shams as an accent. 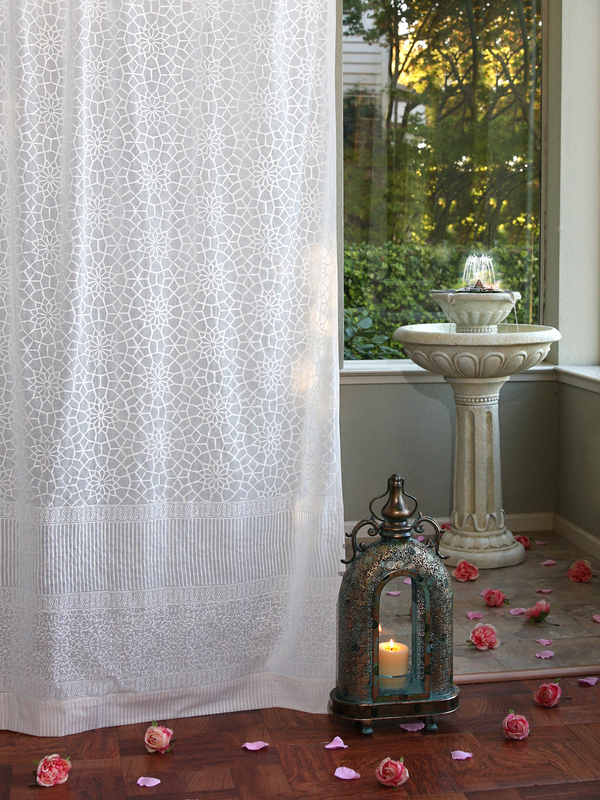 Or, adorn your bathroom with the Midnight Lotus Unique Asian Floral Blue fabric shower curtain and the Coastal Currents Ocean Beach Themed Tropical Floral valance for a blue statement. And another idea: try the Pacific Blue Rustic Navy Blue Ocean Oriental Asian table runner with the Le Chateau Medallions French Country Boho kitchen curtains and the Le Chateau Stripes French Country Nautical throw pillows at your window seat. There really aren’t many rules here — choose colors and patterns that make you happy…are they complementary in some way? If so, you’re on your way to maximalist success. Now that you’ve chosen your textiles, how do you complete your own maximalist retreat? It may seem overwhelming to nail down, but we’ve got a few tips. Start small: No need to go wild right off the bat. Build off those easy-to-swap textiles first. If you love a certain bold color consider purchasing a sofa or chair in it, or invest in some fun removable wallpaper to test out your tolerance. A thread of throughline: Ensure that all items in the room relate to one another in some way. Maybe they all contain a bit of the same color or complementary colors, or are all modern or all traditional, for instance. Get some tips on mixing color in maximalist spaces from Patrick Mele here. Bring depth with texture: One of the keys to great maximalist design is adding visual interest with texture. Mix cotton and linen with velvet, tweed, fringe, metals, rattan, etc. — you get the picture. Your maximalist decor will be instantly elevated and chic with a deliberate mix like this. Although maximalism is blazing its way through home decor right now, so is its countermovement — minimalism. There’s room for both in the design landscape, and neither is going anywhere anytime soon. Where maximalist decor means more is more, minimalism means less is more. The decor is simple and sleek, often neutral, with no extras. Everything serves a purpose and there’s a focus on essentials. A Very Navy New Year!